Students pose for a photo during the Manufacturing Day event held at Vermont Natural Coatings in Hardwick, Vermont. The definition of having a skill is “the ability to do something well,” and the definition of a trade is “a skilled job, typically one requiring manual skills and special training.” The terms skilled tradesman, skilled worker, artisan, tradesman, and craftsman refer to individuals who have specialized training in a particular area of work. These areas of work may include skilled industrial trades, such as millwrights, riggers, and machinists; skilled service trades, such as automotive mechanics, chefs, and medical assistants; and skilled construction trades, such as carpenters, plumbers, and electricians. One thing that all skilled tradespeople have in common is that they have followed a path that has led them to learn their craft. One of the current issues all skilled trades have is getting people on the path to the trades. This has become known as the installation crisis or the labor shortage. During the last couple of years, the NWFA has been working on many programs that address this issue. Our primary focus has included getting young people excited about our industry, providing a clear path to becoming proficient within our trade, and qualifying those within our trade through certifications. Manufacturing Day is the first Friday in October each year. NWFA has developed the framework for any manufacturer member to use to support Manufacturing Day. Members are encouraged to open their facility to local elementary, middle, and high school students to promote interest in our industry. Members can use hands-on demonstrations, facility tours, short presentations, giveaways, or whatever makes the most sense to capture the interest of the students coming through their facility. Junior Achievement USA provides regional events for any grade level. Members can promote the NWFA and our industry through any of the JA Biztown events geared toward different age groups or volunteer as a career speaker at a local school or JA chapter. Through Boy Scouts of America, the NWFA has developed a program for any member to use in helping local scouting programs earn the Woodworking merit badge or build their Pinewood Derby cars. The NWFA is a member of ACTE (Association for Career and Technical Education), where we participate in annual Career Pavilion where infographics and career information are displayed for more than 4,000 attendees that include classroom teachers, counselors, and administrators. This is an excellent way for us to be in direct contact with school administrators to gain their interest in our industry to bring to their existing programs. 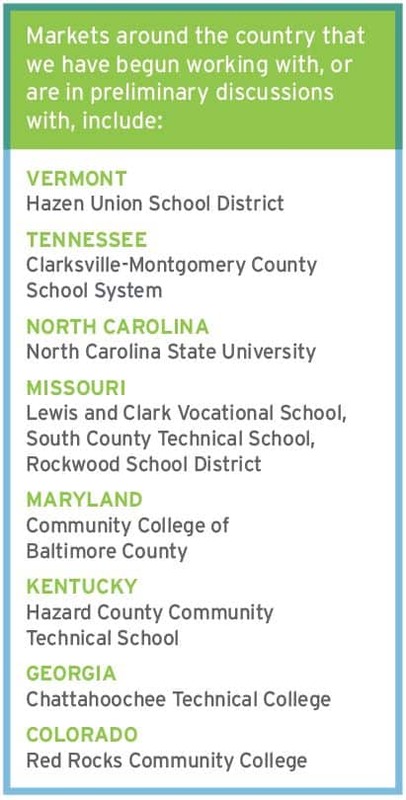 NWFA Infographics have been featured in ACTE’s publication that goes out to 24,000 subscribers. NWFA has also developed infographics and a student webpage to use at career events. These are available for members to use in their communities and at local career fairs. We recently partnered with Cue Career to build webpages featuring members and career opportunities in the wood flooring industry. This site is being promoted through nonprofits that bring career exploration to 10-12th-graders and through college career centers. In partnership with the U.S. Department of Labor Development, the NWFA has developed National Guidelines for Apprenticeship Standards for the occupation of Wood Floor Specialist. This program is currently in the final stages of approval and was developed as a way to get our training programs in front of the future and current generations throughout all 50 states. Once finalized, the three-year curriculum will become a federally recognized curriculum and accompanying certification for the wood flooring industry. The U.S. Department of Labor will award a “Certification of Completion of Apprenticeship” upon completion of the program, where the apprentice will then be eligible to take the NWFA certification tests. The program was developed as a hybrid program, which allows students to test through the program at certain steps. 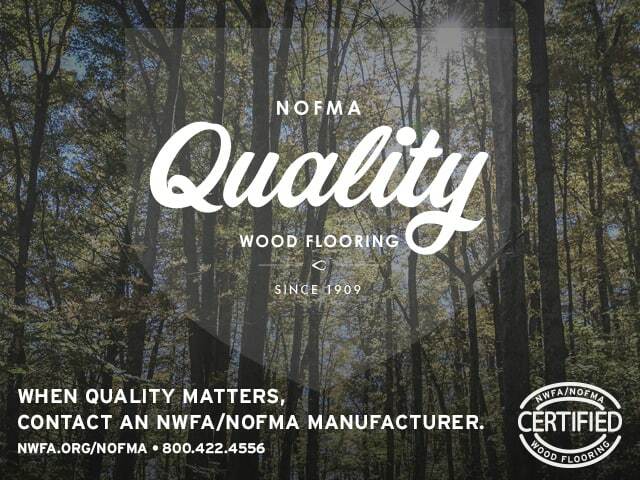 As National Guideline Standards, the program can be adapted to fit any company and situation with approval from the NWFA. 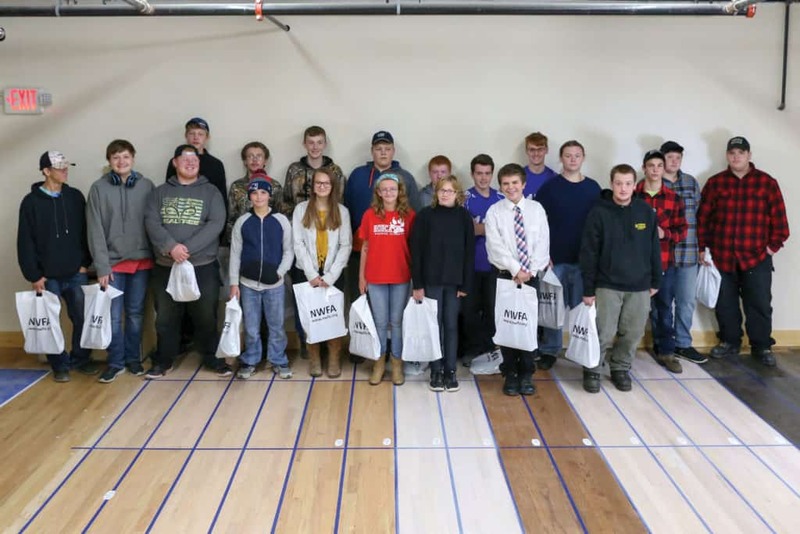 The NWFA is targeting schools in many markets to implement a part of or the entire NWFA curriculum into their specific programs to introduce students to the creativity and practical application of the wood flooring industry. This can include using a one-hour intro to the industry, one to two week (10 hours) version, a two to four week (20 hours) version, a four to eight week (40 hours) version, or adopting the full three-year apprenticeship. An NWFA digital badge will be given to students upon completion of curriculum programs. We also have developed a Wood Studies Scholarship, which is made available each year for a student pursuing a degree in any field involving wood studies. And we have developed a student membership option that is free for students. This gives students access to all wood floor information, technical information, member contact info, and a job board through Hardwood Floors. We also are exploring opportunities to develop a wood flooring competition at SkillsUSA events across the country. The NWFA Certified Professionals program currently gives individuals the opportunity to qualify their skills through becoming certified by NWFA. We currently offer certifications for Installer, Sand and Finisher, Sales Advisor, and Inspector. Two new certification designations have been developed to allow those within the industry who are currently certified installers and certified sand and finishers to further their status in our trade: Craftsman and Master Craftsman. Qualifications have been put in place to validate expertise within each skill set. The program was based on a similar program from the Master Craftsman (Meisterbrief) designation in Germany, dating back to medieval times, where only those who have passed all necessary tests and have produced the final “masterpiece” project, would be titled as a Master Craftsman. An internal training program, NWFA University, gives our members the ability to institute internal training programs for staff, employees, or customers. Many of our members have used NWFA University as a tool to train new employees and to incentivize current employees to further their knowledge of our trade. 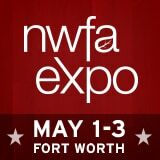 NWFA members from all segments of our industry may not only become a part of these initiatives as potential volunteers, instructors, or pioneers, but also to take any part of what we have developed to show interested individuals a clear path to local job opportunities through our industry. It takes everyone in our trade to bring it to life and recruit new blood to our industry. With the framework in place and many of these programs in their infancy, we feel we have put something together that gives our members the tools necessary to find, train, and retain workers in the wood flooring industry. The one way all of this will work is through our members embracing some of these concepts, and owning them as their own. 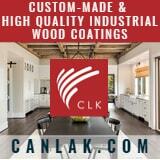 With your help, we can significantly impact the future of the wood flooring industry. Now is the time to take action. Stephanie Owen is Education Director at the National Wood Flooring Association in St. Louis. She can be reached at stephanie.owen@nwfa.org.